5. Economic Stasis: "We Don’t Want to Grow; We Want to Stand Still"
Part IV. Enhancing the Local "Product"
Gerald L. Gordon is President and Chief Executive Officer of the Economic Development Authority in Fairfax County, Virginia, USA. 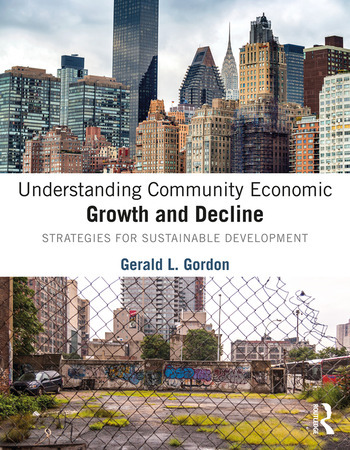 "Gordon provides an extraordinarily wise and compelling take on the complexities of economic planning in our time. In order to thrive, his research demonstrates, we must learn to account for eventualities we can’t anticipate. How? Implicitly, the book is an argument for education that prepares the next generations to recognize the astounding dynamism and interconnectedness of our world." "This book… is a great choice for both the scholar and the practitioner seeking answers to modern day questions in economic development. A thoughtful exploration of the topic that is also an interesting read weaving together theory and real-life examples." "In a time when federal and state funding for localities is declining, it’s imperative that these communities take a proactive and strategic approach to economic growth. Jerry Gordon’s book is a must read for those studying economic development and those practitioners living it on a daily basis."